Ein "Phantom, Eren, Elen, Jiang Ren"
An assassin with such skill she was given the codename "Phantom," a designation given only to the best killer in Inferno. She was found by Scythe Master and was his first test subject to be given his assassin-processing treatment. She has no memories of her past and is incredibly apathetic. Her name means "a" in German although it were probably meant to mean "one", which would be "Eins". She is apparently killed by Zwei in her atempt to save Master. Then crushed by despair seeing her die, Zwei tries to catch her body while she falls into the sea and gives a chance for Master to kill him, following Ein into the sea. when she meets Reiji again and he asks her if she still lives for Master, she says that the only reason she continued living was to see him again. And so they go on their journey, like they planned two years ago. When she escapes to Japan, she changes her name to Elen and claims to be Reiji's twin sister. A long and rigorous investigation by Elen and Reiji traces her history back to Ulan Bator, Mongolia, and though the trail manages to stop there, Elen is able to find some peace in the area. 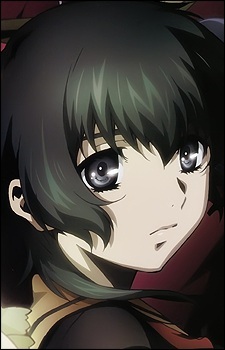 In the OVA, she is shown to have an older brother, and it is suggested the village where she lived was massacred. She dies by eating a petal of one of the many flowers and because its poison is deadly, she falls and then dies along with Rejii.